But, wouldn't it be great to write results directly to a spreadsheet and draw some charts automatically? Can it be done in C++ as well? In the mentioned article I've shown how to output test results directly to an Excel file. I've used there a nice library called Spire.XLS. You can easily have not only the tables, but charts as well! Moreover, if you spend some more time, there is also a possibility to calculate statistics, make predictions, calculations, etc. This is all possible in .NET environment, here I've tried to apply the idea to C++ - native code. In short, we can use C++/CLI as a bridge between native and managed code. That way, we can run our algorithms and benchmarks at full speed, with crazy native code optimizations. At the end we, simply, pass results to the reporter module. Then, we have our reports ready to analyze. Of course another way would be to copy results from a txt file (or a console output) to a spreadsheet file. I've used this option often, and I must say that sometimes it wastes a lot of your time! It is easy to call C++ from C#. All you have to do is use some kind of PInvoke and Interoperability mechanisms and call a native function from managed code. 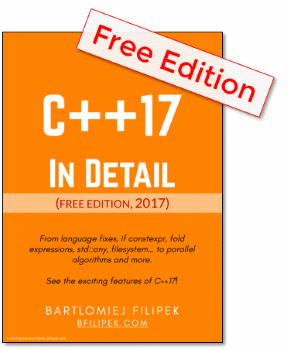 However, how can we call C# from C++? In other words: how can we use reverse PInvoke? We need to create a reporter module DLL in C++ CLI. From native code we can use the above DLL as 'normal DLL'. As always with interop, things gets complicated when you want to pass from one side to another (managed/native) a complex data. In my example I managed to use only simple, basic types that are handled automatically by the framework. This interface is not that generic. But for a simple tests can be useful. For each test run you would call AddResult method with a test name, n - size of a test case and elapsedTime. This map stores for each test case (its name), a map of number of 'N' and elapsed time for such test run. So _res["hello"] - means elapsed time for test run 'hello' with 100 elements. As name suggests writeData and createChart functions writes data to a spreadsheet (fills the rows) and then create a chart out of this data. In the above example I've profit from Spire.XLS library. This is very handy and easy to use module. I've used the free version (max 150 rows per file) - but this is enough for most of my cases. Spire.XLS library created a file, wrote some rows, formed a chart and saved it successfully to disk. Of course, the test results now comes from native, not managed, code! In the above example I've shown how easily output test results from native code into a worksheet file. Spire.XLS< library makes our life very easy and with several lines of code you can create a file, chart perform calculation. For a simple test case this might be optional, but when you develop a bigger project such automation will save you a lot of time. Do you know any other library that can help with such automation? 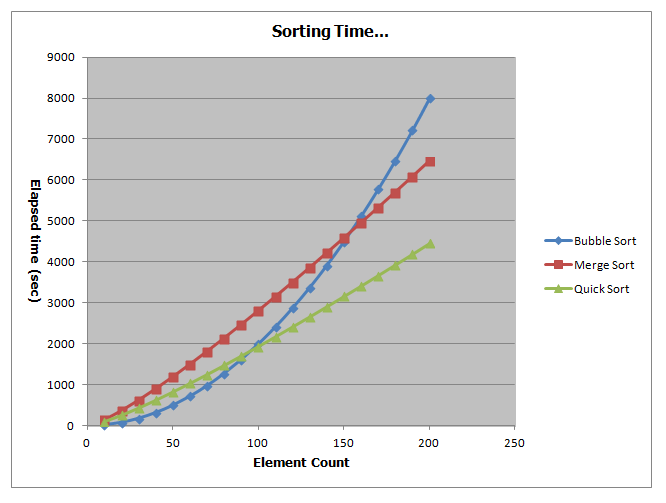 What method do you use to output test results from your experiments?